Gov. Jerry Brown vetoed a bill on Monday that would have allowed him and his successors to cancel a special election if there is only one candidate. Brown was concerned that while there may be only one candidate officially running, there are often one or more write-in candidates running as well. The bill was sponsored by Sen. Sharon Runner, R-Lancaster, who died earlier this month, ending a longtime battle with scleroderma. Runner was elected in a special election last year with 94.1 percent, with six write-in candidates splitting the remainder of votes. The Runner election cost Los Angeles and San Bernardino counties almost $1.7 million total. Had it been signed into law, the Runner bill would have allowed Brown to cancel a special election and declare an officially unopposed candidate like Runner the winner. Legislators have long looked for a way to ease the burden and costs of special elections on counties and voters. 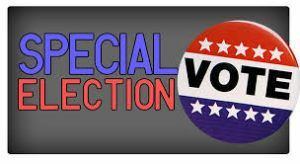 A CalWatchdog investigation earlier this year showed that counties have spend around $21.7 million on special elections replacing state lawmakers since 2013.